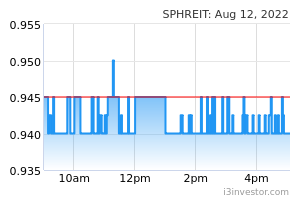 SPH REIT's 1Q19 DPU of 1.34 Scts (flat y-o-y) in line. Strong start to FY19F as Paragon impresses with a positive rental reversion of 10.1%. Continued momentum in tenant sales growth a positive indicator of rental reversionary prospects ahead. Maintain BUY with higher Target Price of S$1.05 following completion of SPH REIT’s maiden Australian acquisition. Entering into 2019, we see ample organic growth opportunities for SPH REIT (SGX:SK6U) as improving rental reversionary prospects (particularly for Paragon, as evidenced by its strong showing in 1Q19) and value-add opportunities for The Rail Mall – which will deliver its first full-year contribution in FY19F - is set to drive DPU growth ahead. With the recent addition of Figtree Grove in Australia, which offers immediate accretion, our DCF-based Target Price is raised to S$1.05, with further potential upside from acquisitions. We believe a deal will be value accretive to SPH REIT. Assuming an acquisition cost of S$500m for The Seletar Mall, and a 30/70 equity/debt funding mix, we estimate that the acquisition (if it materialises) could boost SPH REIT’s DPU by 5% p.a. 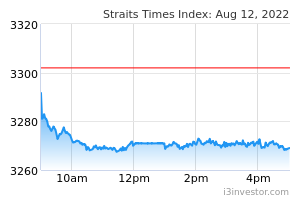 Maintain BUY; DCF-based Target Price raised to S$1.05. Apart from increased confidence of an improved operating outlook, we also like SPH REIT for potential upside from acquisitions. At current prices, the stock offers total potential return of 10%. Interest rates risk. A higher and faster projected rise in interest rates could be a dampener to DPU estimates. SPH REIT has however proactively swapped in a substantial portion of debt into fixed rates. 1Q19 DPU of 1.34 Scts (flat y-o-y) in line. SPH REIT’s 1Q19 revenues grew by 0.6% y-o-y to S$53.8m, mainly on higher rental income from Clementi Mall and maiden contributions from The Rail Mall, which offset lower contributions from Paragon. Meanwhile, an uptick in operating expenses led by higher marketing expenses during the quarter, resulted in a lower NPI of S$41.8m (-1% y-o-y). Coupled with slight increases in management fees and interest costs, net income was 2.3% lower at S$31m vs S$31.8m in 1Q18. Similar to the previous year, 1Q19 DPU was maintained at 1.34 Scts, based on 96.5% payout. Strong set of operating results. While portfolio occupancy dipped slightly from 99.4% in 4Q18, it was still high at 99.2% as at end-1Q19, and operating performance across SPH REIT’s portfolio assets continued to post improvements. Portfolio rental reversions, which has been in negative territory for several quarters, took a markedly positive turn in 1Q19. Supported by higher footfall and an uplift in tenant sales, Paragon and Clementi Mall delivered positive reversions of 10.1% and 4.5%, respectively, mainly on lease renewals. The Rail Mall, which is set to deliver its first full-year contributions in FY19F, also impressed with strong reversion of +7.9% during the quarter. Heading down under in its first overseas foray. After reviewing the Australian market for opportunities for the past few years, the manager of SPH REIT executed on its first deal down under, acquiring an 85% stake in Figtree Grove Shopping Centre, New South Wales, Australia. The joint Venture partner for the remaining 15% is Moelis Australia Ltd, a ASX-listed investment group. The consideration for Figtree Grove Shopping Centre of A$206.0m (SPH REIT’s 85% share approximates A$175.1m) is in line with an independent valuation commissioned. The vendor, according to media sources, is understood to be Blackstone, who acquired the property in a portfolio purchase back in late 2015. A regional mall with strong property metrics. Figtree Grove is located within an established sub-regional location in Wollongong and is approximately 3.7km south-west of the Wollongong Central Business District (CBD) and 71km south west of Sydney CBD. It is also located near major thoroughfares which carry traffic between the Wollongong CBD and the wider Wollongong area. SPH REIT is entering the Australian retail market at a time of flux, especially when major overseas retailers and e-commerce giant Amazon are entering the market, disrupting existing retailers’ business models. Consumers are also more tech savvy and are quick to embrace the offerings of these e-commerce platforms. According to media reports, existing and former retail giants like Target and Myer have seen their own being profitability impacted significantly. While investors might frown on the uncertainty brought about to the REIT given the uncertain retail outlook in Australia, we believe that Figtree Grove Shopping Center offers a good diversification for the REIT, especially given the limited growth opportunities within Singapore. The property’s positioning as a one-stop convenience centre and its strong catchment will prove to be more resilient against disruption from e-commerce. Strong defensive metrics at a 5.7% post-cost yield. Figtree Grove Shopping Center will be acquired at an initial yield of 6.0% (post-cost yield of 5.7%) and offers defensive attributes with a high occupancy rate of 98.5%, and a long weighted average lease expiry (WALE) of 5.4 years (by income) and 7.8 years (GLA) with a well staggered lease expiry profile. Fully-debt funded; gearing projected to increase to 30.1%. SPH REIT intends to 100% debt fund this purchase, and its gearing ratio is expected to increase to 30.1% after the completion of this acquisition. On a proforma basis (on FY18), DPU is expected to increase marginally by < 1% from 5.54 Scts to 5.56 Scts. Maintain BUY; Target Price raised to S$1.05 after incorporating contributions from Figtreee Grove. We estimate that the addition of Figtree Grove could help lift distributable income by 0.8% p.a. from FY20F, resulting in a higher Target Price of S$1.05, based on DCF.